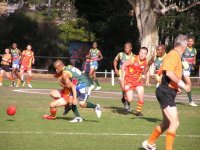 In a story which may have gone under the radar for many international footy fans late this year, the last weekend in September not only saw the Swans defeat the Hawks in the AFL Grand Final, but also the first match played by a Belgian footy side for over five years. The Belgians travelled to the Netherlands for a 3-team tournament against Dutch sides the Amsterdam Devils and The Hague Storks, the comp dubbed the Benelux Cup. Although the Belgians went down against both Dutch clubs, the scorelines were quite respectable, losing to The Hague by only 5 points. Belgium was previously home to the Brussels Saints, who back in 2005 won the EU Cup, but the Saints have long since folded and no footy was played in Belgium in the interim. WFN will be eagerly watching developments of Europe's newest side in 2013. 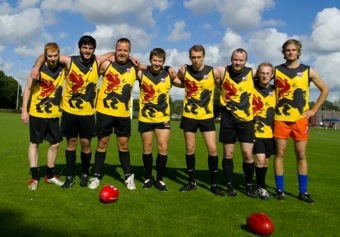 For more on the nascent Belgian footy club, visit the AFL Belgium website or their Facebook page.